An Acadian fortuneteller and a Cajun ghost hunter meet at a music festival, fall in love, and bring down the wrath of les diables. Their children, scattered like seeds on the wind, carry on their parents’ work, and unknowingly take on their debts. Sol Sarrazin, the plain-spoken loner. Baz, the feckless musician. And Lutie, who can see ghosts and devils and everything in between. High on the Great Plains, far from their bayou beginnings, evil catches up to the Sarrazin children: a deal with a devil, a few long-kept secrets, and a murderous ghost. What price to lay the past to rest? 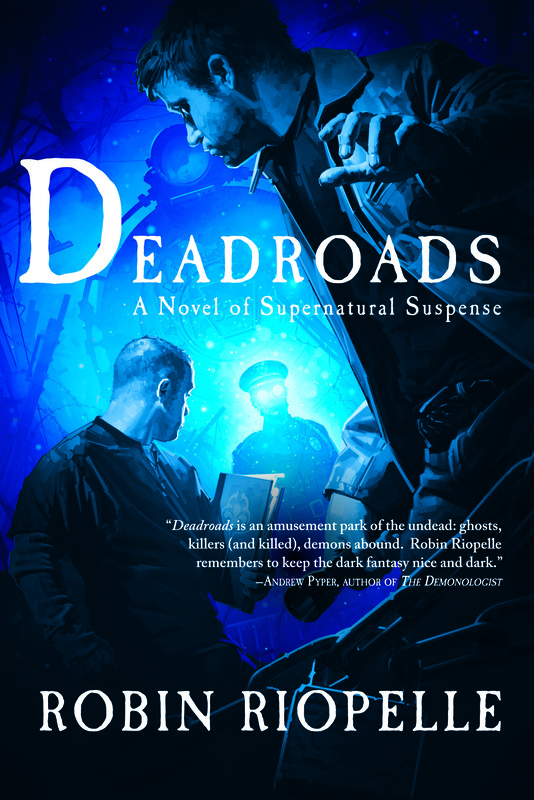 Deadroads is a novel of supernatural suspense, available HERE. Deadroads is published by Night Shade Books, an imprint of Skyhorse Publications.